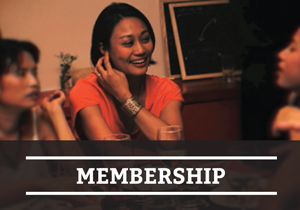 An all rounder, our membership allows you to explore Chinese culture at your own pace. 200 RMB, valid for one year from date of purchase. Members receive a 10 – 25 % discount on all Hutong public programs and events. Card can only be redeemed by member. After one year, you can extend your membership for just 100 RMB. For culinary enthusiasts who want to take their cooking skills to the next level. 1500 RMB, valid for one year from date of purchase. 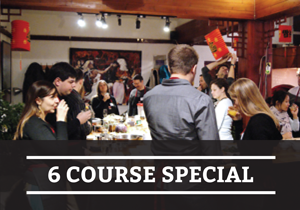 Enjoy any 6 cooking classes of your choice for 1500 RMB. Card can be redeemed by up to 2 people. For special higher priced classes, cardholders would only pay the price difference (which will be between 30 and 100 RMB). For culinary enthusiasts who are in Beijing for a limited time. 800 RMB, valid for one month from date of purchase. 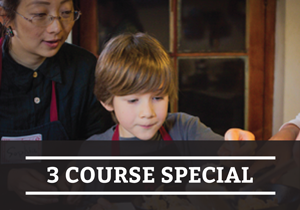 Enjoy any 3 cooking classes during one month. Card can only be redeemed by user. If you would like to become a Hutong member or make use of any of our discount cards, you can purchase them at The Hutong – just inform our staff that you would like to purchase a card and you can apply the discount immediately to your class or workshop. There is no need to arrange the purchase in advance and you can book your class through our calendar and booking system. Once purchased, whenever you come bring your card and show it to receive your discounted price or free class. Our cards make great gifts, if you would like to give a Hutong card to a friend contact us. Please note that Hutong membership and special package cards must be brought to class and cannot be redeemed for cash. Thank you for continuing to support our community center. We look forward to providing you with exceptional workshops, unique events and novel destinations.